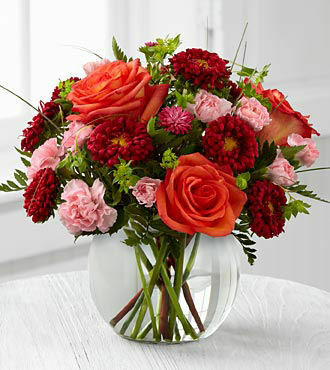 FTD proudly presents the New Day Dawns Bouquet by Vera Wang. 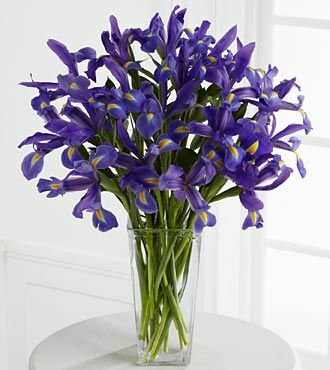 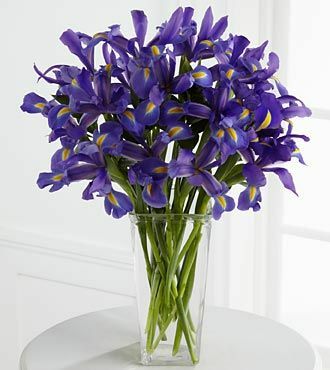 A colorful burst of roses and iris form a charming bouquet of spring sophistication and timeless elegance. 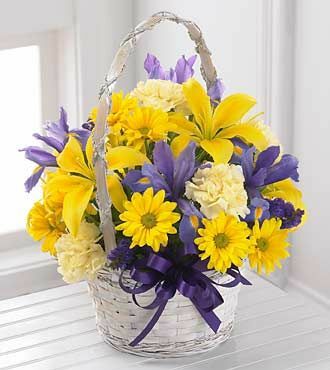 Pale yellow roses, deep purple iris, fuchsia spray roses and white Oriental lilies are brought together to create a stunning flower bouquet set to capture their every attention. 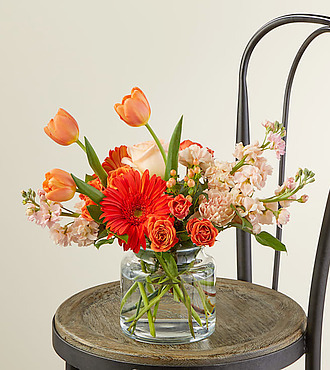 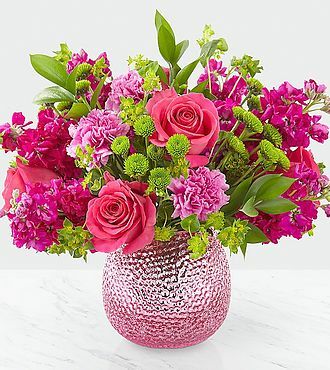 Presented in a modern clear glass vase, this flower arrangement is a beautiful way to celebrate Easter, extend your birthday wishes, or offer your congratulations throughout the spring months. 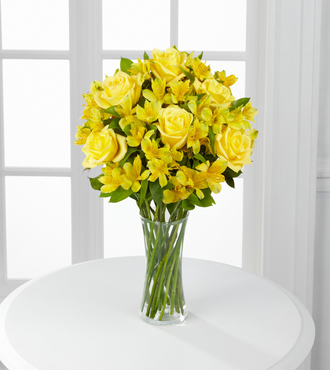 Approximately 18H x 16W.